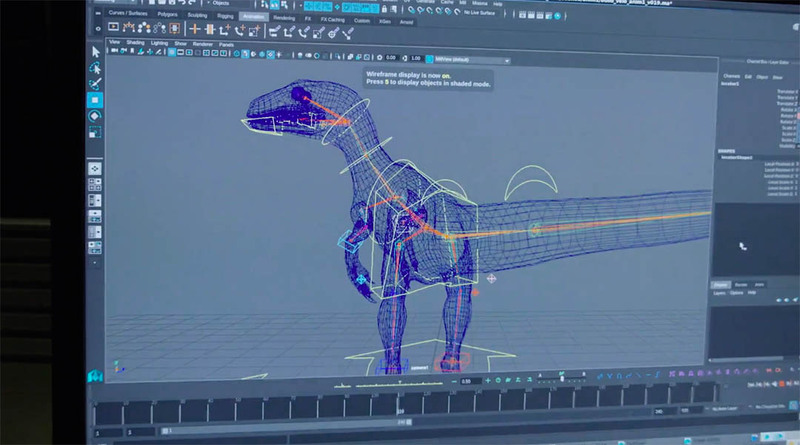 In order to promote upcoming film Jurassic World: Fallen Kingdom, The Mill was asked by Universal and Facebook to bring the Velociraptor “Blue” to life in AR form to promote the film and it’s 2018 Super Bowl trailer release. From a storytelling perspective, we wanted to shape a unique narrative that not only carried the emotional impact of the film, but elevate the experience in a way that could only be delivered through Facebook AR as a medium. The Mill was able leverage some bleeding edge features for mobile storytelling that have never been utilized before for Facebook and AR studio. Working with Facebook’s development team, we helped enable a direct pipeline from our 3D programs to port directly into our mobile AR platform. Fans can access these camera effects by tapping on the camera icon on the top left corner of the Facebook app or by swiping right from their News Feeds to open the Facebook Camera, a new in-app camera/capture experience that is packed with masks, frames, and style effects that users can apply to photos and video.